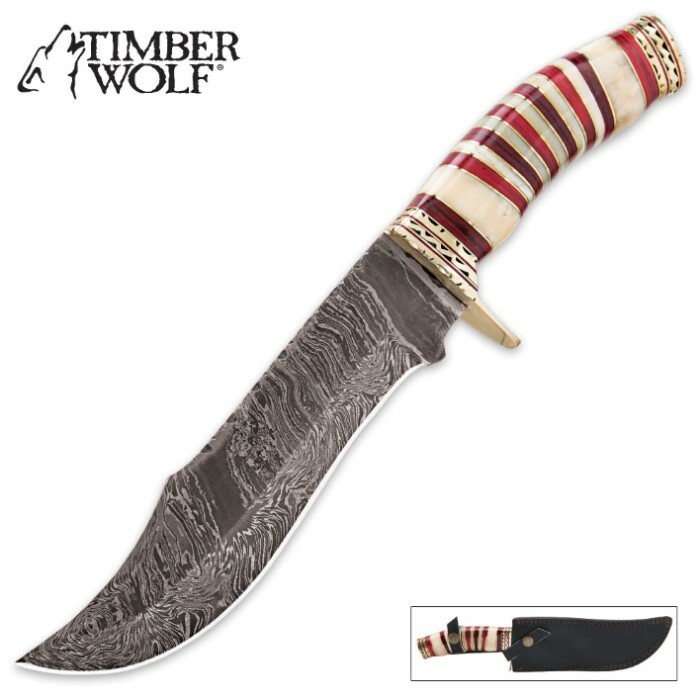 Timber Wolf Crimson Sands Damascus Bowie Genuine Bone Fixed Blade Knife | BUDK.com - Knives & Swords At The Lowest Prices! 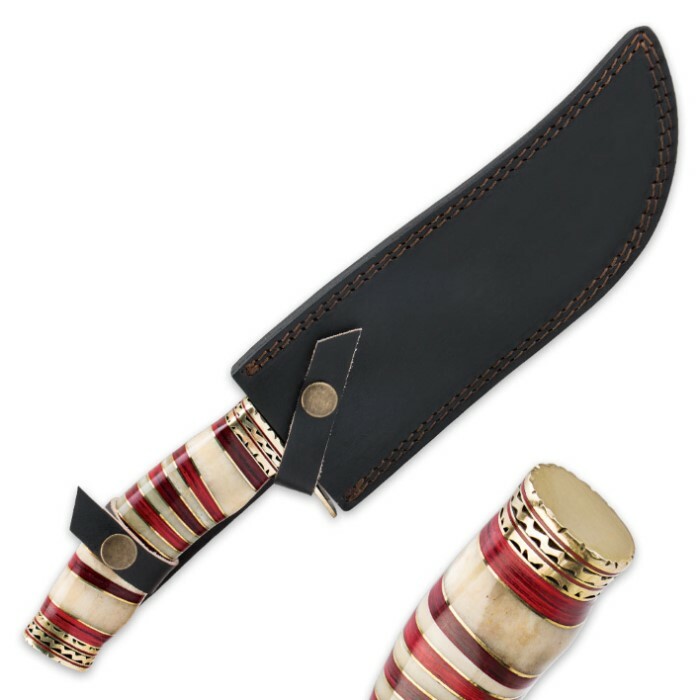 Timber Wolf's new Crimson Sands bowie knife features an 8" Damascus steel blade with a genuine bone handle. Elegant details abound, from the mesmerizing patterns of the Damascus steel blade to the heavy brass embellishments on the handle. 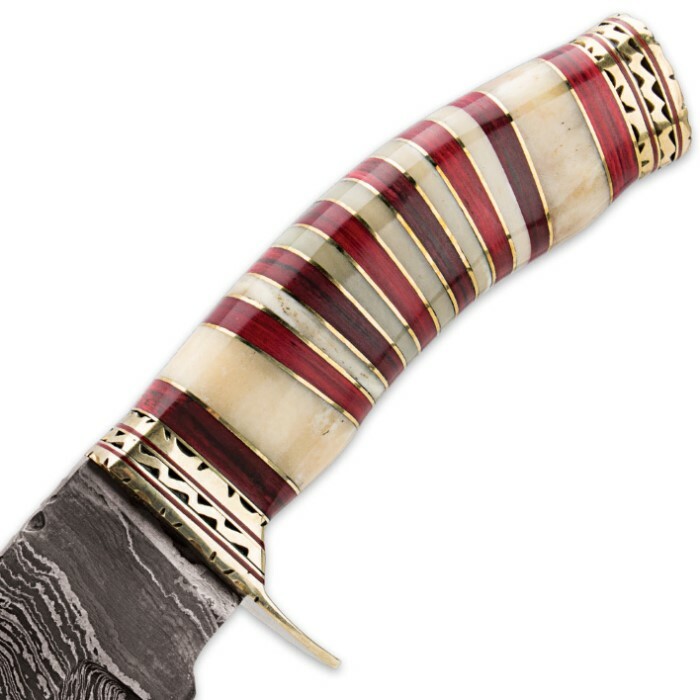 The decorative brass hand guard and pommel feature intricately scalloped edges and red pakkawood spacers, and the elegant bone handle features contrasting red pakkawood and brass spacers that give the knife a custom-commissioned, one-of-a-kind look and feel. The spine of the blade features additional scalloping details that give the Crimson Sands knife an old-world look and feel. A custom leather sheath is included.